A spectral dance film for Halloween. With Halloween coming up, I thought it a good time to disinter these haunting, hallucinatory screen-dance clips by French director Pascal Baes – though honestly, you could watch it any day of the year and you’d be spooked each time. 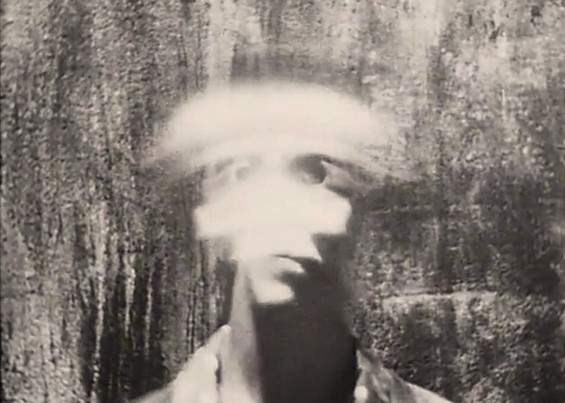 Topic I and Topic II were shot in 1989, and their old-school, analogue effects are – like those faked photos of ectoplasm or spirit auras, of ghostly figures unwittingly caught on camera – creepier than any latter-day CGI wizardry. Among the dancers is a young Jérôme Bel, later a prominent figure of French avant-garde dance but then still almost unknown. He appears as one of a quartet of spectral presences drifting eerily through the night-time streets of Prague like youthful aliens – or alienated youth – to a soundtrack of indie-Goth dirges by composer Philippe-Jean Touscos. Topic I et II from Pascal Baes. The first clip sets off from a family tombstone engraved with the name Frankenstein (Goth heaven already). The performers appear like phantasms from some fifth dimension, materialising in this world yet strangely dislocated from our space-time matrices, the film causing their motion rather than capturing it. At 1m30s Pacal Baes seems to run his hands straight through some iron railings, yet they don’t slit his wrists. In an uncanny reverse-time effect, he is magnetically pulled towards a lamp-post, and he and Bel crumple as if gravity itself were an alien force. At 2m26s and 3m30s Sara Denizot manifests as an apparition with the multiple arms and balanced pose of a temple idol and the elongated fingers of a Cambodian dancer – or of Nosferatu. Even the music, entitled Les Souvenirs Lointains (“distant memories”), faintly echoes the baleful intonations of Bauhaus’s Bela Lugosi’s Dead. In the second clip, Holidays (from hell, surely? ), Denizot and Laurence Rondoni float through the night like spectres. The long-exposure, stop-motion filming technique requires them to hold their poses so that they look like models cut from a cult photoshoot and pasted into empty streetscapes: chic, gamine, unreal. At around 7 minutes in, the trousered Rondoni blurs momentarily and rematerialises in a skirt – a subliminal shift that you scarcely register yet only adds to the unhinging effect. So too do the two peripheral figures you glimpse in alcoves (at 7m48s) who make you jump only when you notice them. The final clip, Come Back to Factory, is not the creepiest but is in some ways the most unsettling. 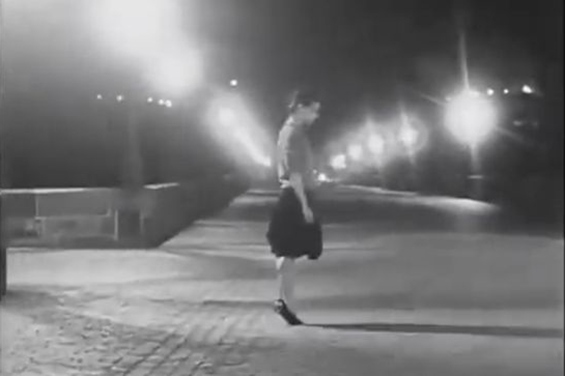 In the previous clips, the four performers pass through streetscapes that are almost entirely deserted (the city, then still behind the Iron Curtain, has never looked more like “the other side”), but here there are more glimpses of “real people” (at the beginning, and in the sequence between 11m30s and 11m40s), who are caught on film like fleeting ghosts. Who, the camera seems to ask, are the “others” here? Spectral faces blur and dissolve like dreams or memories, leaving a closing shot of a model globe, spinning like a toy. Which is more real, the phantom face or the turning world? The question will haunt you way beyond Halloween. Thanks to Alice MacKenzie at bellyflopmag.com, where I first stumbled upon this film last year.